Nick and Kat both grew up in small town Scotland and initially moved to London for a one year adventure in 2011. 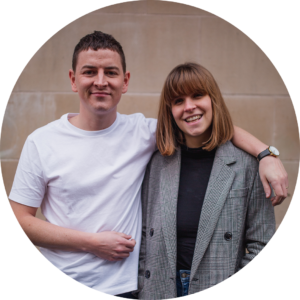 Serving in church changed all of that and kept them in the city where they had the birth of their first daughter Niamh before returning home in late 2016 to begin the Hillsong Edinburgh journey. Since then their heart for people has seen church grow into a home for many including little girl number two Aoife.